I haven’t watched regular tv in a long time. I hate almost every thing that’s on and have for probably the past 20 years or so. Not just the IQ draining reality tv crystal garbage, but even those dramas people think are amazing and groundbreaking(“Mad Men” etc.) Once you notice the false depth and attempts to package tired cliches as profound statements, theses shows become thoroughly unwatchable. 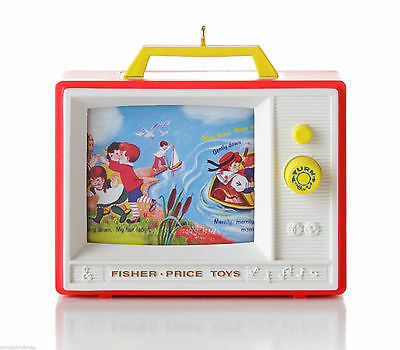 The other day, I was thinking about it though, and it seems to me that we may have reached a point where watching one of those Fisher Price “Two Tune” tvs(that any 70s or 80’s kid will remember) may be more entertaining and stimulating than anything on current television programming. For a more rewarding experience, watch the screen on an old music box tv and tell me that’s not more satisfying than the crap that’s polluting the old plasma. The beauty! The innocence! The ambiance! The quaint activation of imagination! You won’t find it in the consumer trance inducing signals they’re beaming at you. Yes, I’ll gladly wind it up, stare at the two tune tv screen and repeat 50 times over rather than sitting through a tedious episode of “Game of Thrones” or a game of sportsball. If you want to dramatically improve your TV watching experience overnight, you should too.